What is the ICD-10 Code for Cerebral Palsy? The ICD-10 Code for cerebral palsy is G80.9. G80.9 is a billable/specific ICD-10-CM code that can be used to indicate a diagnosis for reimbursement purposes. The 2018 edition of ICD-10-CM G80.9 became effective on October 1, 2017. This is the American ICD-10-CM version of G80.9 - other international versions of ICD-10 G80.9 may differ. ICD-9-CM 343.9 is a billable medical code that can be used to indicate a diagnosis on a reimbursement claim, however, 343.9 should only be used for claims with a date of service on or before September 30, 2015. Cerebral palsy is a group of neurological disorders that appear in infancy or early childhood and permanently affect body movement and muscle coordination. Cerebral palsy affects the motor area of the brain’s outer layer (called the cerebral cortex), the part of the brain that directs muscle movement, and also affects the ability to maintain posture and balance. Delays in reaching motor skill milestones; and difficulty with precise movements such as writing or buttoning a shirt. A study by the Centers for Disease Control and Prevention shows the average prevalence of cerebral palsy is 3.3 children per 1,000 live births. 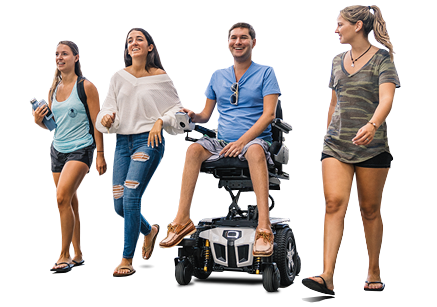 Quantum Rehab, the global leader in clinically-based, user-inspired power wheelchairs, offers technologically-advanced models specifically meeting ICD Codes for cerebral palsy, including ICD-10 G80.9. For more information, please click here.